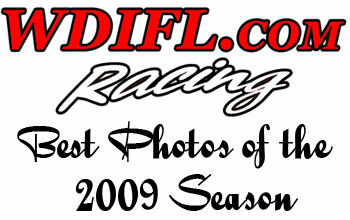 WDIFL is blessed with some of the best drag racing photographers in the business who contribute their great shots so we can present the best nostalgia fuel racing coverage possible. With the 2009 season in the books, we thought it would be fun to invite those who contributed on a steady basis through out the year to share a few of their favorite shots. The only rule was they had to be taken in 2009 at some kind of race. Each was asked to pick 10 of their favorite shots from 2009 and submit them with any information they wanted to include. Some gave some great details and other not so much. But they are what they are and we hope you enjoy them. And I think some of their choices may surprise you. Site Copyright &COPY; Ewald Enterprises, 1998-2017. All Rights Reserved.